Hello everybody! I hope you’ve all been having a fantastic summer with your horses. This year has been Barney and my first year as full British Eventing (BE) members, as well as our first time competing with the riding club. Added to which, we’ve had a new recruit join our gang. Back on March 23rd we brought home a very sweet three-year-old Connemara mare, whom we decided to call Dilly. She’ll be for my younger sister when they’re both a bit older, but for the time being I’ll be producing her. So far, she’s coming along really well. For the first month I worked on getting her used to lots of different things, and responding to my aids. For example, we put some road signs and bright cones in the school and practised our steering in and out of them, so that when we did take her out on roads she had already seen a lot of the things we came across. Three months after we got her, she started to grow and became quite “bum high”, which made her very downhill in her flatwork, because it was tricky for her to use her body properly. This was around the time of my AS exams, so I just gently hacked her a couple of times a week for six weeks. This gave her valuable experience to continue her education, but meant that we didn’t put too much strain on her body whilst she was developing. Fast forward another six weeks and we’ve begun taking her out to different places. 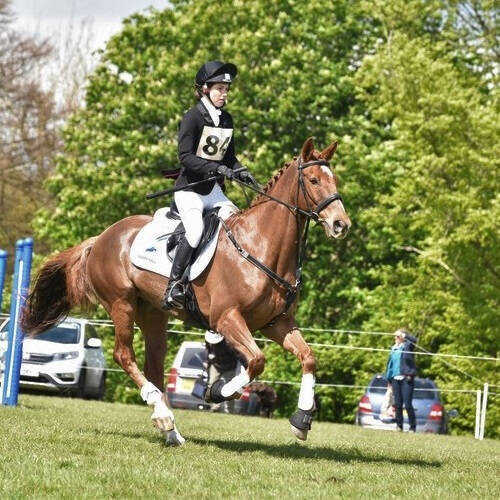 She completed her first ever dressage test, coming 2nd and qualifying for an unaffiliated championships held at Hickstead, and then followed this up a few weeks later with two clear rounds at her first showjumping competition, getting two fourths and winning £8! Last week we took her cross country for the first time, just jumping tiny jumps and getting her used to water, ditches and steps! She took it all in her stride, so it’s very exciting seeing what she’ll be like in the future. As I mentioned, it was Barney and my first year being members of the riding club this year, and in June we competed in the 90cm riding club event team. Barney put in a great performance getting the second best dressage and flew round double clear, but we were too fast so got some time faults, and as a team we unfortunately didn’t manage to qualify for the championships. However, the 80cm event team DID qualify, which was great except that one team member then had to pull out — a catastrophe! You cannot compete at the championships if you don’t have enough team members, so I was asked to fill the space, but I couldn’t take Dilly as she’s too young and not at all ready, and I couldn’t take Barney since he’s been placed 2nd in a BE90 event and is therefore too highly qualified. 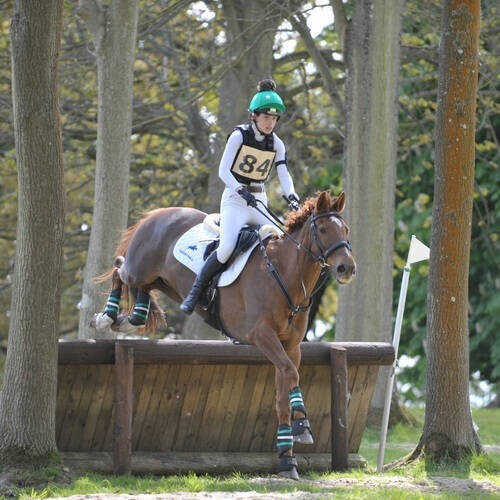 Luckily a friend of mine who is also in the 80cm team has leant me one of her horses, a 16hh appaloosa called Dooley! Nationals are approaching fast, and I’ve only managed to ride him four times, so it will be a test to see if we can achieve a good result together. I’m going to be vlogging the experience for Harry Hall, so look out for that! Future plans at the moment for Barney are all geared towards the Mitsubishi Motors Badminton Grassroots Regional Finals later this month. If we do well then we’ll qualify to compete at Badminton Grassroots next year in the BE90 championship class, so I need everyone to keep their fingers crossed for us! My absolute favourite pair of breeches at the moment are my Harry Hall Sculpting Breeches - https://harryhall.com/navy-blue-sculpting-breeches. I have them in blue and basically live in them. They’re incredibly comfortable and flattering, and the lyrca bottom on the legs means it’s easy to wear socks over them. Everybody needs a pair! 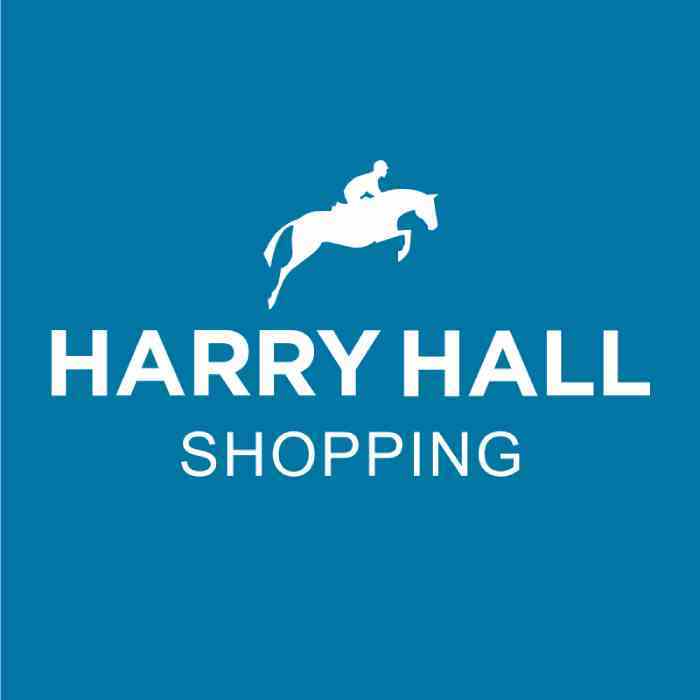 They’re just £45 or £31.50 for Harry Hall One Club members which is a terrific price.